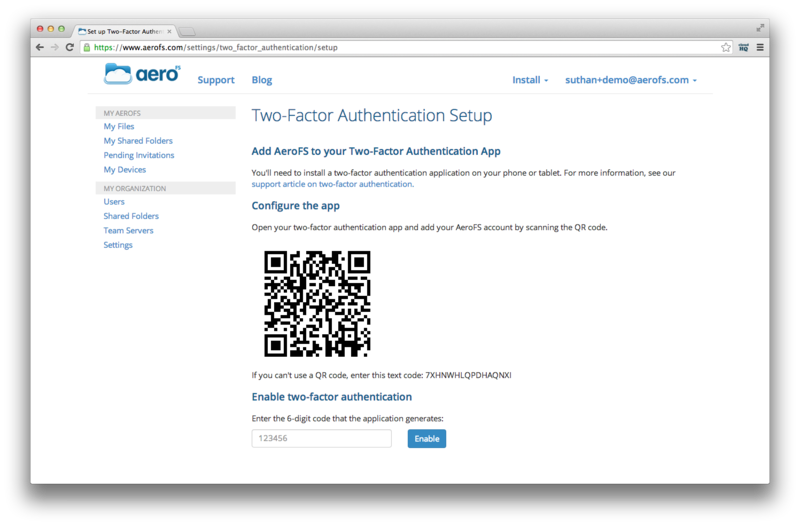 Two-factor authentication provides an additional layer of security for your AeroFS account. With two-factor authentication set up, a malicious person will need to acquire an additional piece of information, that is obtainable only from the two-factor authentication application installed on your mobile device, before they can access your account. 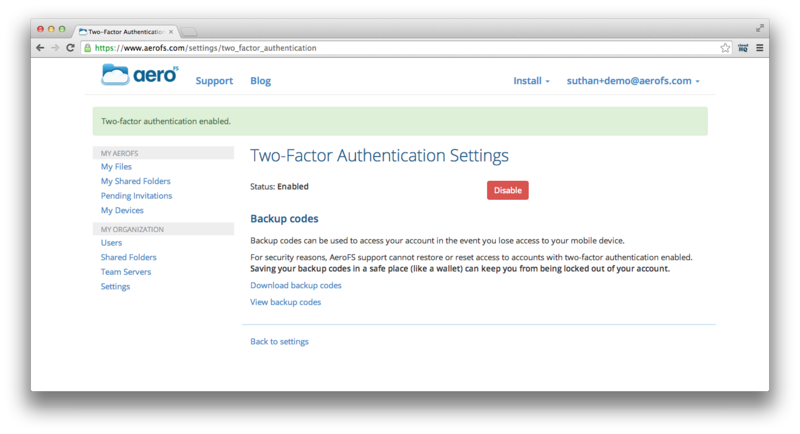 You can set up two-factor authentication for your AeroFS account as follows. 1. 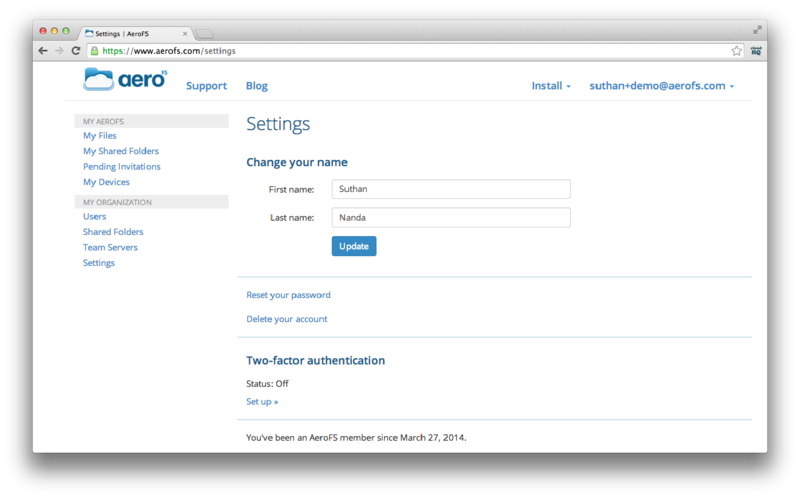 Log into your Web Admin Panel and click on your userID near the top right corner of the page and select Settings. 2. 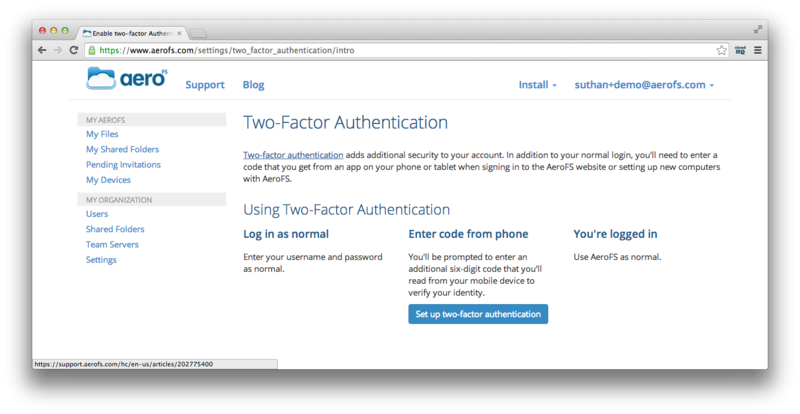 Under the section titled 'Two-factor authentication' click on Set up. 4. Install a two-factor authentication application on your mobile device and scan the displayed QR code using the mobile app. Then enter the 6-digit code generated by the mobile app and click 'Enable'. 5. You should see a 'Two factor authentication enabled' message appear near the top of the page. Now every time you log into your Web Admin Panel or add a new device, you will be required to enter your password followed by a 6-digit authentication code generated by your two-factor authentication mobile application. 6. 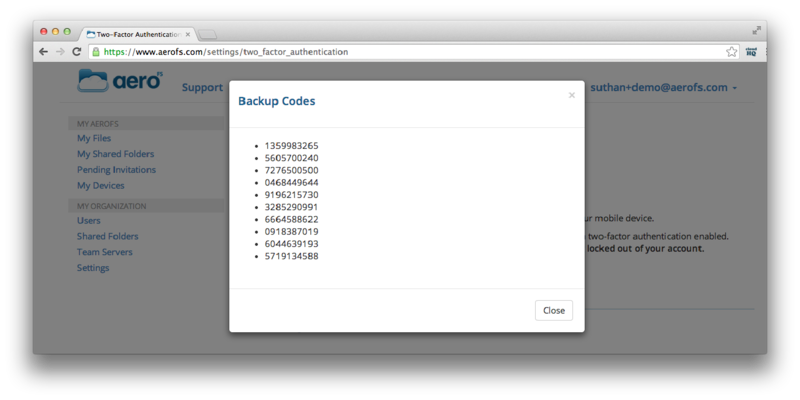 Click on either Download backup codes or View backup codes to see your two-factor authentication backup codes. Make sure you store your backup codes in a safe place as this is the easiest way to access your account in the event that you don't have your mobile device handy.